I am a bankruptcy attorney in Phoenix ($995/Chapter 7) and one additional way I am able to help my clients is to save their homes from foreclosure. Did you know that the instant you file bankruptcy, generally your home becomes protected under the automatic stay and your lender cannot touch it until your bankruptcy is discharged? ** A typical Chapter 7 bankruptcy takes around 4-5 months to cycle through, giving you 4-5 months of protection. During that period of time, most lenders become more willing to negotiate with you and give you a loan modification to lower your monthly payments. Because they realize you will have fewer bills so you will be better able to make your mortgage payments. Rep. David Scheikert and other members of Congress have been very helpful to our clients acting as a liaison to their lenders to help them obtain loan modifications. 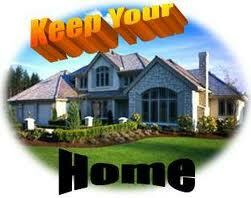 But don't wait until the night before your home goes up for foreclosure to meet with a bankruptcy attorney. They may not be able to get your bankruptcy ready in one day. For example, you are only allowed to have $150 in your bank account on the day you file. If you take out thousands of dollars the day before filing bankruptcy, the trustee will likely want to know what happened to that money and could seize it back from you. You are better off setting up a free consultation well in advance to analyze all of your options and future possibilities. After you have gone over all of the contingencies and scenarios with your attorney, then you can decide whether or not it is a good idea to put off filing until somewhat close to the foreclosure date, in order to maximize the amount of time you have protecting your home.